Por marta sanchez. 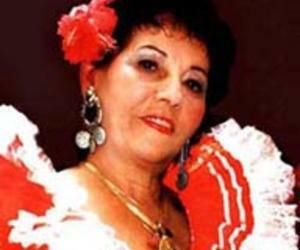 Havana, Mar 20 (Prensa Latina) Cheerful and dynamic, Celina Gonzalez, the queen of Cuban country music celebrated her 83rd birthday at a newly-opened cultural center devoted to that popular genre. Surrounded by friends, family and colleagues, Gonzalez sent a message of greetings to her fans on the island and in Colombia, where she has a large following. "To Colombia, my second homeland, all of my blessings and wishes for peace in these troubled times. I love you forever," she said. Another Cuban music great, pianist and composer Frank Fernandez, accompanied the singer on her birthday. Every Saturday, Gonzalez's son, Lazaro Reutilio, will host the show Fiesta Criolla at the La Herradura Cultural Center, featuring the most popular performers of Cuban country music. The idea is to bring together the many diverse styles and forms of this music, Reutilio said.